Home Services Yard & Outdoor Health & Medical Auto Repair Family Life Beauty & Health Education & Schools Sports & Rec Pets Entertainment Shopping Restaurants Real Estate Legal & Financial Computers & Tech Home Decor Consumer Services Business to Business Govt & Community More Categories » Add your business for free » Atascocita Coupons! The Harris County PCT 4 Constable's Office is asking for the public's help identifying a theft suspect who hit a Deputy with his car while fleeing a Walgreens in Atascocita. 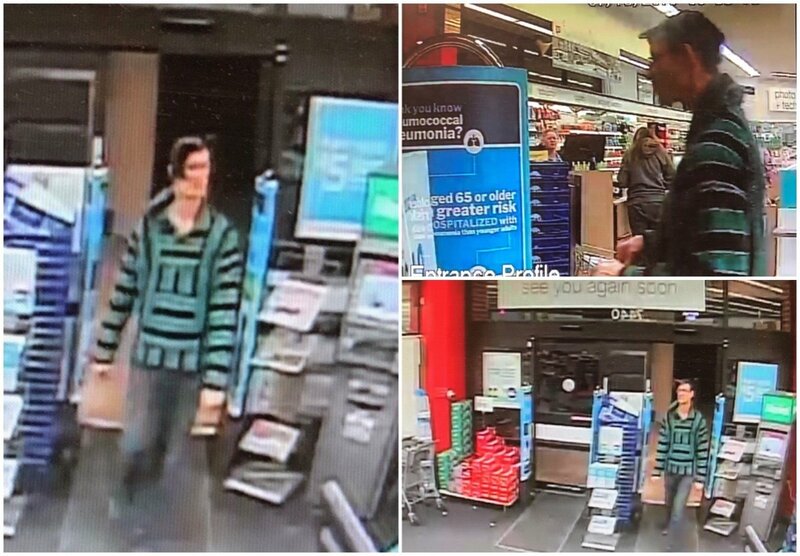 According to reports from PCT 4, as well as video surveillance footage (below), on January 13, 2019, an off-duty deputy with Constable Mark Herman's Office was in the parking lot of the Walgreens Pharmacy located in the 7400 block of East FM 1960 in Atascocita after his patrol shift, when he observed a white male running out of the business with stolen merchandise in his possession. The deputy exited his personal vehicle, in full uniform, and demanded the suspect to stop. The suspect refused and ran to his early 2000's model green Ford Mustang. He reversed his vehicle and struck the deputy and was last seen fleeing south on West Lake Houston Parkway. Wow. thank God for cameras. someone should recognize him. LOL what a dumb dumb, that face, hair, pancho and car all stand out are easy to recognize. He'll be caught soon. The Mustang is getting a bad rap here. Hope they ID him soon. Probably already have and a "close friend" pocketed some cash. yes - because $5 worth of crap from walgreens is worth getting shot over while fleeing LEO. Your online community neighborhood for Atascocita-area residents.